Ken Slater died on Saturday. Just a couple of months ago, he invited me to the lunch celebrating his 90th birthday (but he admitted it might be a long trip for me to make for a luncheon). I only met him in person once, at the most recent Glasgow Worldcon, but he was a longtime distributor of F&SF and we corresponded regularly. I considered him a living legend. Condolences to his family. 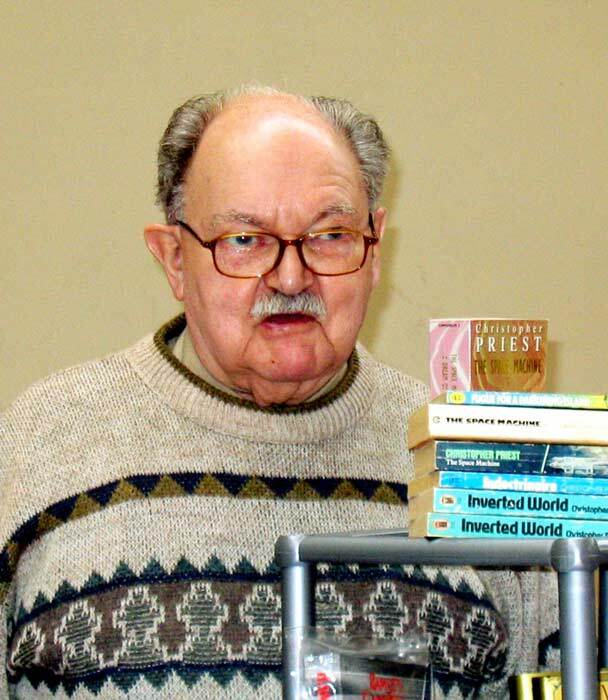 Here’s a picture of him from 2004, hawking a batch of Chris Priest’s novels. The photo is by Peter Weston. If anyone reading this post is interested, Ken’s funeral will be held on Thursday, Feb. 28 at a crematorium in King’s Lynn, followed by tea at a hotel in Grimston. You can contact me for more info if needed.